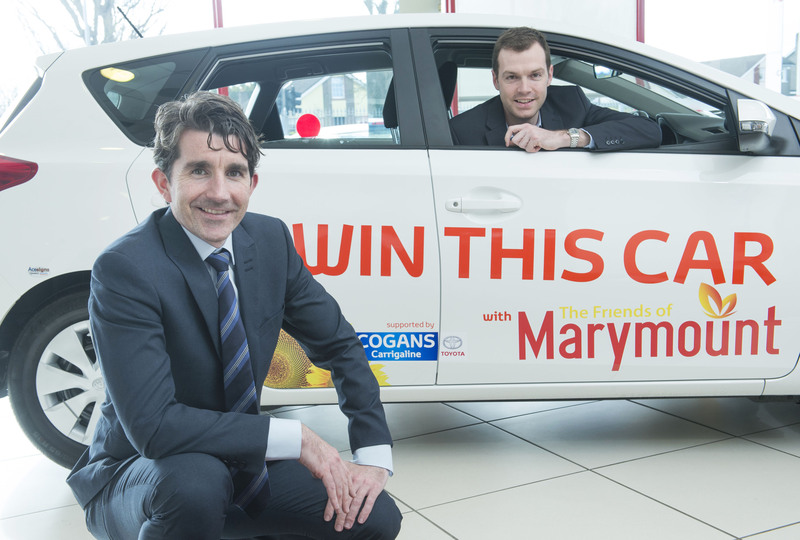 This week, Robert Cogan, Director at Cogans Carrigaline and Dan Cowman, Chairperson of the Friends of Marymount launched the 2015 car raffle for a 152 Toyota Auris in aid of Marymount University Hospital and Hospice. As Marymout University Hospital and Hospice is Cogans Carrigaline chosen charity, we are delighted to be able to support their fundraising car rafflle. Tickets for the raffle can be purchased at Cogans Carrigaline, Marymount University Hospital and Hospice in Curraheen and the Marymount charity shop on Oliver Plunkett Street. Tickets cost €10.00 for one or €20.00 for three. Proceeds from the raffle will be used to enhance the hospital and hospice and to benefit the patients. The draw for the car will take place in Marymount University Hospital and Hospice on July 3rd.